A few months ago my husband had a dream where he was a contestant on Britain’s Got Talent. He sang a song with a big, buff, shirtless guy with dreadlocks and the lady from Sound of Music. Their amazing act had the whole audience going. And what song did they do? Imagine singing the Spiderman theme song melody, only instead of the actual words, just keep saying “Hunger Games”. They were sent through to the next round. 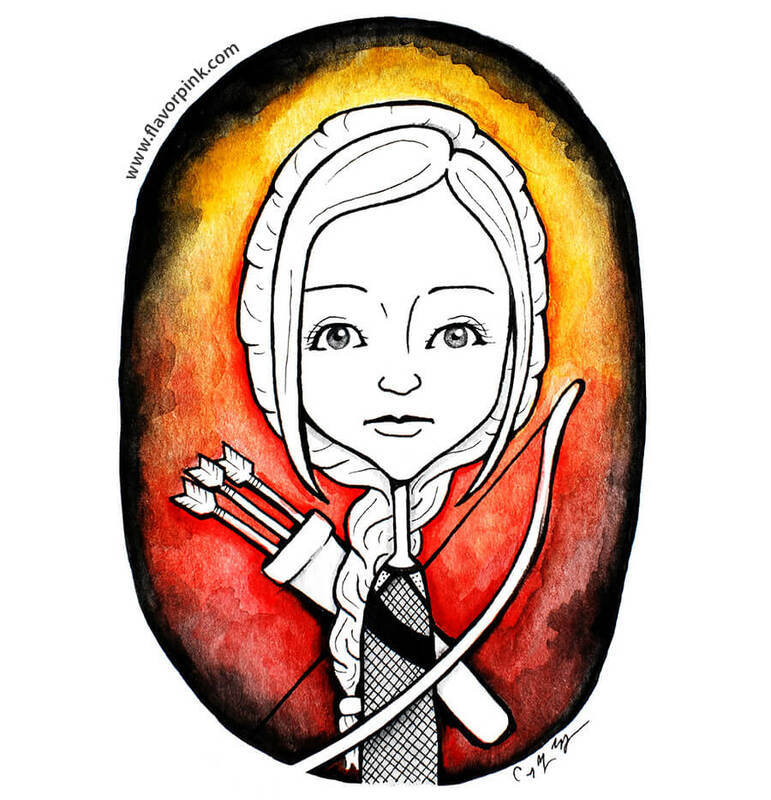 I decided to do a Doodle Portrait illustration of Katniss as my contribution to all the fun. I’ve always thought it would be fun to draw a whole bunch of random fictional characters in this style, so I really enjoyed working on this! Especially with the fire-ish background. I think she turned out cute. I’ll be making a brooch from this illustration to add to Marissa’a giveaway. (Similar to these ones!) If I have time to make it tonight I’ll update this post with a picture. All this talk of the Hunger Games is getting me excited for the new movie! Oh this turned out ah-mazing!!! !